For today's "Where are they now?" 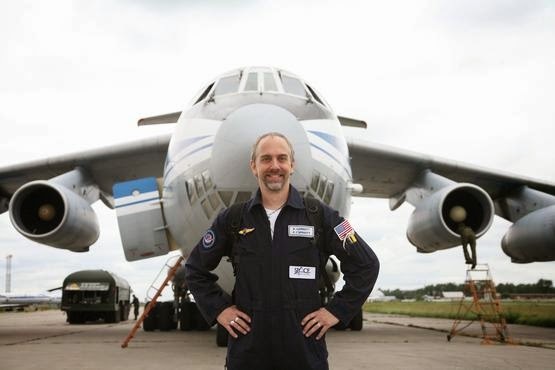 post I'm going to talk about a game developer that probably needs very little introduction, especially amongst RPG and MMORPG fans - today I'd like to talk a bit about Richard Garriott a.k.a. Lord British who has had quite a remarkable life so far, for anyone, let alone a game developer. Garriott has done crazy things like flying into space, trekking through Antarctica looking for meteorites, officiating the first wedding in zero gravity and building manor houses in Texas. But let us (try) and focus on his relatively mundane game development career (I say "relatively" because it's no less impressive than the rest of his life). Garriott was born in 1961 in the UK but to American parents. He managed to get the nickname "Lord British" while at school but not because he had a British accent (while he was born in the UK he moved back to the US at a very young age) but because of the way he talked which apparently some kids thought sounded more formal than usual and the nickname stuck. Garriott was raised in Texas by his mother and father who were a professional artist and astronaut respectively (yes, now you can already see why Garriott wanted to fly into space). Garriott was first exposed to computers during his high school years in the mid 1970s and excelled at programming. The first games he made though were on rather primitive teletype machines and it wasn't until 1979 while working at a computer store that Garriott discovered the revolutionary Apple II with colour graphics. Garriott would develop what would become the precursor to the Ultima series, a game called Akalabeth and the owner of the store thought it was good enough to sell. He only managed to sell a few copies in ziploc bags (that's how games were sold in those days) however one of those copies manage to land him a publishing deal with a company called California Pacific which ended up selling over 30,000 copies of the game with Garriott receiving $5 per game sold. The game is considered one of the first computer role playing games to be published and this would be the first of many breakthrough games Garriott would develop. Ultima I was released in 1980 but was basically Akalabeth with "bitmapped graphics for the outdoor areas". Ultima II would end up being published by Sierra On-Line in 1982 as Garriott wanted the game to be sold in a box with a cloth map. However he was ultimately dissatisfied with Sierra and for the third game in the series, Ultima III, decided to form his own company with his brother Robert called Origin Systems in order to publish it in 1983. Ultima III turns out to be another crucially important RPG in gaming history having influenced JRPGs such as Dragon Quest and Final Fantasy. Oh and if you've heard of Origin Systems before (despite it ceasing to exist in 2004), there's a good reason for that as it was arguably one of the best development studios in the 1980s and 1990s. The studio had such talents as Chris Roberts (creator of the Wing Commander series) and Warren Spector (creator of Deus Ex) working there and they developed many classic games (not just the Ultima series) - but that's a story for another time :). Back to Garriott! In 1985 Garriott released Ultima IV which introduced the virtues system that became a cornerstone of the sequels that followed. Ultima V was released in 1988 and in 1990, the first Ultima game that I ever played was released: Ultima VI: The False Prophet. Garriott continues to churn out the Ultima games during the 1990s with Ultima VII being released in two parts over 1992 and 1993 (and is often cited as the best of the Ultima games) along with the controversial Ultima VIII: Pagan in 1994 - controversial because it isn't set in Britannia, the view is switched to a 3D isometric one and there's no party based combat. Garriott pauses the development of Ultima IX in order to develop 1997's Ultima Online - a breakthrough in the world of MMORPGs (and in fact he apparently coined the term "MMORPG" to describe Ultima Online itself, distinguishing it from graphical MUDs prior to its release). Ultima Online was one of the first, if not the first, of the current generation of MMORPGs that we play today. Despite the game being released almost two decades ago, the game is still active making it the longest running MMORPG ever. It was also the first MMORPG to reach more than 100,000 players, which seems like peanuts compared to the millions playing popular MMORPGs today but was quite an achievement back in the day. Ultima IX was finally released in 1999 and was not received very well by the fans (the bugs didn't help). Garriott left Origin the next year and founded his own company called Destination Games with his brother Robert and Starr Long (producer of Ultima Online). Destination Games eventually partnered with Korean game publisher NCSoft and was renamed NCSoft Austin where Garriott worked as an Executive Producer on the MMORPG Tabula Rasa until 2008. Tabula Rasa failed to generate significant revenue and the servers were shut down the following year which is also when Garriott created a new company called Portalarium. However during this tumultuous time Garriott also flew into space to visit the International Space Station on 12 October 2008. Garriott became the sixth tourist to visit space reportedly paying $30 million USD and is also the first second-generation American space traveller (thanks to his aforementioned Dad being an astronaut too). When Garriott returned an Austin District Court awarded him USD $28 million in a lawsuit against NCSoft over how they handled his depature. Meanwhile, at Portalarium, Garriott started work on a spiritual successor to Ultima Online called Shroud of the Avatar: Forsaken Virtues. In 2013, they managed to successfully raise almost $2 million USD through a Kickstarter project and have raised over $6 million USD in total when taking into account other sources. Today, Shroud of the Avatar: Forsaken Virtues is nearing completion and is already available on Steam Early Access. So I hope you can see now that the world of gaming, especially with respect to RPGs and MMORPGs would probably look a whole lot different if it weren't for Richard Garriott's achievements. We also wouldn't have had several awesome games by Origin such as Wing Commander, Privateer and Strike Commander if it weren't for him (and the Roberts brothers of course :)). Garriott is still CEO and Creative Director at Portalarium. I wish him all the best with his future endeavours including the imminent release of Shroud of the Avatar! MMORPG Origin Richard Garriott Ultima Where are they now?